The word “avuncular” means “of or relating to an uncle.” The avuncular DNA test, therefore, tests the genetic makeup of a child and another person to see if they’re the biological uncle or aunt. Many times, these tests are performed to establish paternity if the alleged father is unable or unwilling to be tested. As you probably know, everyone gets half of their genes from their father and half from their mother. What is not as well-known is that we also share half of our genes with a sibling. So with an avuncular DNA test, it can be determined if the child’s paternal genes match those of his uncle or aunt. If the lab results reveal a 99 percent chance or greater that there is an aunt/uncle relationship, this is considered conclusive. If you need more information about avuncular testing, call Face It DNA LLC for answers. 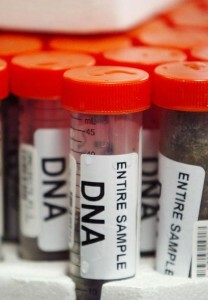 An avuncular DNA test can provide all of the answers you’re seeking. Unlike paternity tests, an avuncular test may be more challenging when it comes to determining who is the father. This is because the sibling of an alleged father doesn’t share the exact same genes, and the sibling may also have genetic markers that the alleged father doesn’t have. For these reasons, it’s recommended that the mother of the child also be tested. This way, we can eliminate all genetic markers that were inherited by the mom, making the avuncular test much more reliable. If the results reveal an “0,” this means there is no biological relationship between the child and the other person. If it reads 1.00 or higher, this shows that there are more likely to be biologically related. The higher the value, the more likely it is that they are relatives. If you’d like to know more about avuncular testing, call our caring team of professionals today. 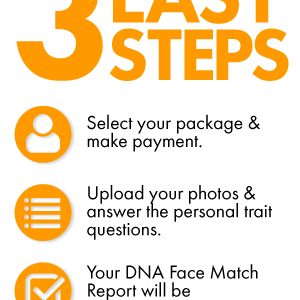 An avuncular DNA test is a viable option if the alleged father isn’t available, so contact us today to get started.